Former Chief Judge W. Matthew Stevenson left some large shoes to fill after deciding to step down after twenty-two years of service as the Fourth District Court of Appeal’s first African American judge. Fortunately for the people of the Fifteenth, Seventeenth, and Nineteenth Circuits, one of the 24 candidates to succeed Judge Stevenson was the 6’4″, 36-year old legal prodigy Jeffrey Kuntz who wears size 14 oxfords. Of course, it was Judge Kuntz’s outsized qualifications, rather than his physical stature, that led to his receiving a 7:30 a.m. phone call from the governor on November 4, 2016, announcing his appointment to the bench. 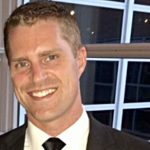 After spending his childhood in Winter Park and teenage years in Tampa, he began developing those qualifications at Tampa Preparatory School. It was there, while participating in an extracurricular program that allowed him to represent minors in teen court, that Judge Kuntz was inspired to become a lawyer. In 1999, Judge Kuntz left the Sunshine State for Massachusetts with the intent of joining the legal profession. Over the next seven years, he earned an undergraduate degree from Boston College (2003) and a law degree from Suffolk University (2006). He returned to Florida and became a member of the Florida Bar. He began working in the appellate and litigation support division of GrayRobinson’s, appellate division where he worked on over two-hundred appeals. After his first three years in private practice, Judge Kuntz began to use the little bit of free time he had to study the weekly appellate decisions from the Eleventh Circuit Court of Appeals, Florida’s Supreme Court, and Florida’s five district courts of appeal. From 2009 through 2016—while working as a full-time lawyer—he prepared nonopinionated summaries, posted them online at The Florida Legal Blog, and assigned each summary by category (e.g., arbitration, bankruptcy, bifurcate, etc.) for future reference. Judge Kuntz’s survey of Florida law was so thorough and his site so user-friendly that Google’s diagnostics indicated that the site’s routine visitors included some of Florida’s courts. Although the blog remains accessible, it has been dormant since Judge Kuntz’s appointment. While working as a full-time appellate attorney and operating a Florida appellate blog, Judge Kuntz also found time to volunteer for and serve on Florida committees and boards. For example, from July 2011 through June 2017 he served on the Florida Bar’s Appellate Court Rules Committee where he chaired its Civil Practice Subcommittee for two terms. He also served on the Judicial Nominating Commission for the Fifteenth Circuit from November 2012 until his judicial appointment and served as a member of the board of directors of the Junior Achievement of South Florida from 2008 until his judicial appointment. Since taking the bench, Judge Kuntz has made time to serve on both the Florida Bar’s Rules of Judicial Administration Committee and the Education Committee of the Florida Conference of District Court of Appeal Judges. Even with such a loaded resume, applying to serve as an appellate judge is still an intimidating prospect, particularly for someone in their mid-thirties with only one decade of practice. Yet, Judge Kuntz did not see why he should defer applying just because of his age considering that thirty-five-year-olds are eligible to serve as the President of the United States. 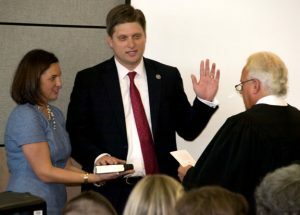 By believing in himself and trusting his instincts, Judge Kuntz’s appointment to the Fourth District at age thirty-five means that—if retained by voters for the maximum period allowable under the Florida Constitution—he can serve on the bench for up to thirty-five years before reaching the mandatory retirement age. Despite all of his success, Judge Kuntz is quick to concede that he is not the proverbial “self-made man.” He credits his parents and twin sisters with creating the loving home atmosphere where he learned the proper balance of confidence and humility. 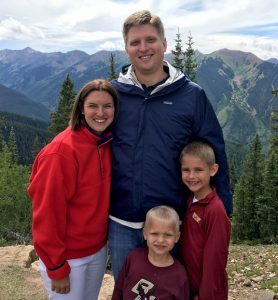 He now leans heavily on his wife, Kristine, who he met on a plane in 2001 when the two South Floridian sophomores were heading back to Boston College. They now have two boys together. Incredibly, but unsurprisingly, Judge Kuntz finds time to help coach their little league teams. Judge Kuntz also appreciates the many people who facilitated his professional growth, from private practitioners throughout the state to his fellow judges on the Fourth District Court of Appeal. He also credits his fellow jurists for guiding him during his whirlwind transition onto the bench. In fact, the transition was so quick that Judge Kuntz sat on his first oral argument panel just twenty-five days after receiving the governor’s call announcing his appointment. 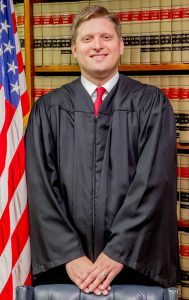 Fortunately, by then Chief Judge Jonathan D. Gerber had been appointed his mentor; he had been assigned the very experienced Erin Brandt, Andrea Hall Duenas, Eric Yesner, and Jennifer Chamagua to his staff; he had spoken with all sitting judges at the court; and he had been fitted for a pair of extra-large robes. Despite being the tallest judge at the Fourth District Court of Appeal, Judge Kuntz is not looking to overshadow any of his peers. He relishes being part of a team. While he will ultimately rule the way that the law requires, he nevertheless works hard to “be receptive to other’s views.” If he can retain this attitude and continue to build on his already oversized resume, Judge Kuntz will surely continue his predecessor’s tradition of leaving some very large shoes to fill whenever he chooses to step away from the bench. Thomas S. Ward, Esq. is an appellate practitioner and commercial litigator in the Miami office of Rennert Vogel Mandler & Rodriguez, P.A. He serves on the Florida Bar’s Appellate Court Rules Committee and as an officer of the Third District Court of Appeal’s Historical Society.